Attention, multi-scale tool: before choosing the Max Full scale see the Pa Scales Table at the bottom of the page to check the available scales. Differential Pressure Switch for low pressures with pressure Transmitter (DPI) has 0 ÷ 10V output and 2 relay outputs. Each instrument has 4 selectable measurement scales and is individually temperature compensated. This Pressure Switch is equipped with a display and auto zero function that corrects the effects of sensor drift without the need for manual intervention. 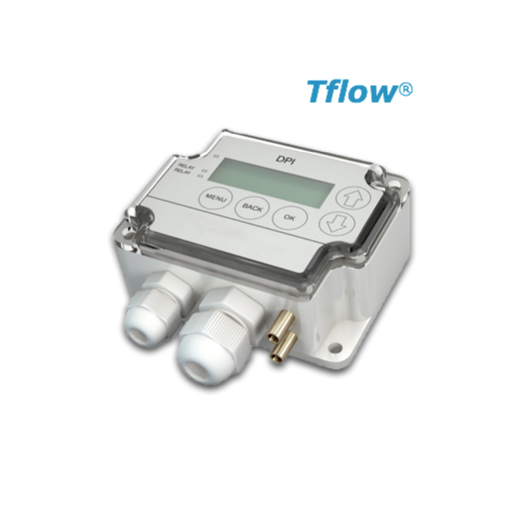 The electronic differential pressure Transducer is used to measure and indicate low pressures of air and non-combustible gases in order to monitor and control systems for building automation, air filters and fans, HVAC, boilers and clean rooms. The programmable relay can be configured to signal thresholds of pressure alarm or warning. The configuration allows you to choose whether to activate the alarm on rising or falling threshold overcoming.